Liberty Alpacas is proud to be a part of these great alpaca associations. Alpaca Association of Western Washington is a group of alpaca owners, breeders, and enthusiasts who have come together as a regional affiliate organization. 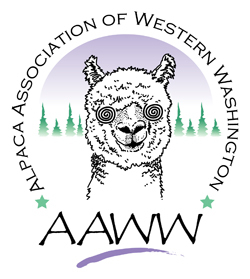 Their goals are to raise public awareness of alpacas and their luxurious natural fiber, share knowledge and resources, plan and organize alpaca events, represent the interests of Western Washington alpaca owners. AAWW also produces the annual Alpacapalooza show. 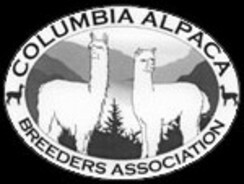 Columbia Alpaca Breeders Association provides alpaca breeders an opportunity to share information and to work together to promote the alpaca industry. Through their interactive website, members are able to promote their farms with detailed profiles, photographs, and website links. CABA also produces the annual CABA Classic show. Alpaca Owners Association is a world-class marketing program and Show System serving the mutual benefit of all members. AOA increases awareness of the alpaca as livestock to non-breeders and the use of their exquisite fiber in garments and household items of every type. Through the AOA Show System alpaca shows are governed, approved and conferences/educational events held.